But don't worry. 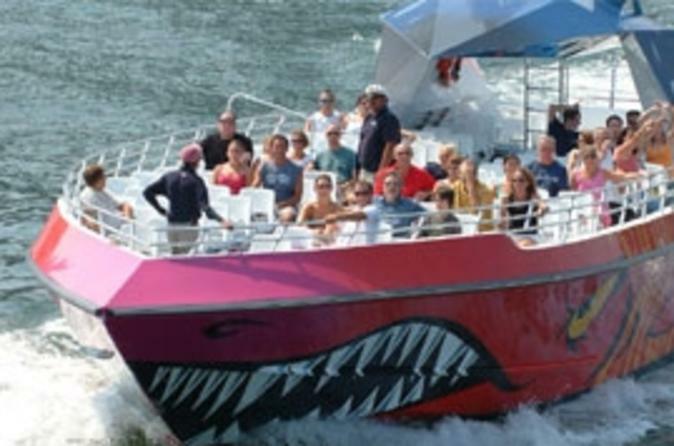 A ride on Codzilla is as entertaining as it is thrilling. The wind roars. The music blares. And the waves will splash as the crew recounts the legendary tale of how Codzilla came to Boston. This wet and wild ride is 40 minutes of full blast, sensational fun for the entire family. If you're a fan of "easy-listening" stations, be prepared to cover or plug your ears, the soundtrack is loud!